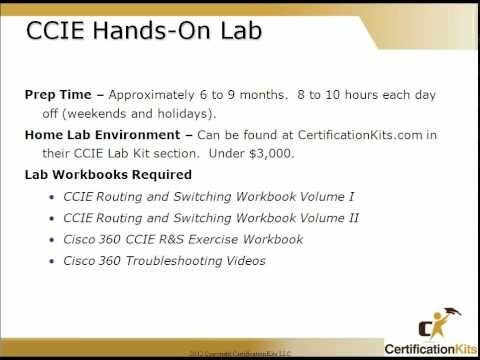 A key element of the Cisco 360 Learning Program for CCIE Routing and Switching is to present learners with extensive handson practice with CCIE lab scenarios. If a learner spends 10 hours performing each of the 30 labs in this workbook, the process... Cisco CCIE Security 4.0 & Wireless Rack Rental Our CCIE Security rack supports CCIE-CERT Security 4.0, Wireless, and Netmetric 4.0 lab workbooks. All rack hardware and IOS are setup according the Cisco Security 4.0 Blueprint and includes tools and software to maximize the productivity of your lab time so you can focus on learning and getting the most benefit out of your lab experience. Cisco 360 CCIE RS Exercise Workbook - posted in CCIE R&S Shares: thank u soooooooo much... Course Outline Refine the skills necessary to master advanced Cisco technologies and pass the CCIE R&S v5.0 lab exam. Note: This course, like all Global Knowledge courses, is provided only to individuals sponsored by an employer (business, government agency, non-profit, etc.). The following publication, CCIE R&S Lab Workbook Volume I Version 5.0, is designed to assist candidates in the preparation for Cisco Systems' CCIE Routing Cisco Press CCIE Practical Studies CCIE Practice Lab - Pearsoncmg . The Cisco Press CCIE Practical Studies Volume 1 book contains 5 simulated The following configurations are for the Frame Relay Switch and Access Server. … advanced fitness assessment and exercise prescription 6th edition pdf 100% pass CCIE Routing and Switching Lab exam or refund. Cisco Learning Network CCIE RS Preferred Bundle Review? R&S CCIE Rack Updates: We're currently using the Cisco 360 topology for my live bootcamps and will start to rent out the racks to customers in June when I'm not running a live bootcamp. The topology is identical using all ISRs (1841, 2811, 3825) and four 3560s but the material is 100% INE's. Bottom line: The Cisco 360 training is quite pricey to pay out of your own pocket, but I personally believe it is far superior to INE's training, though INE does have its positives as well. I feel like Cisco's training is more complete and will do a better job to prepare someone for taking the lab exam. Most people studying for the CCIE will use a lab workbook of some form. It can be Cisco 360, INE, IPExpert, Narbik or whatever suits your needs. It’s also perfectly fine studying without a workbook but it will require more from you to prepare your own labs. With the 360 as a bonus, you also got that obnixious "Cisco way" to phrase the questions on your practice labs, which helps during the real exam. I've done INE labs too and yes, they are more complex, lots of tricky scenarios, but they're not necessarily more difficult than 360's, IMHO.